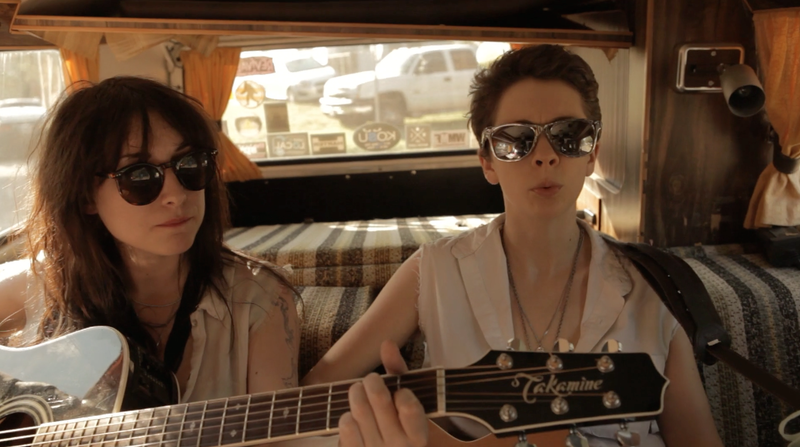 Nashville’s Those Darlins completed wrapped up our sessions at the Gentlemen of the Road Stopover in Guthrie. Jessi Zazu and Nikki Kvarnes performed a stripped down version of “Too Slow” off of the band’s new album “Blur The Line.” The band frequents the Norman Music Festival, and we can say that we’d love to have them back sooner rather then later. Thanks to the ladies for braving the AC-less Spy Van and giving a killer performance.